Just because its luxury doesn’t mean you can’t turn to used auto parts to help you make repairs to your Cadillac. We offer only the finest recycled auto parts for your ATS, Allante, Brougham, Catera, Cimarron, Coupe De Ville, CTS, Deville, DTS, Eldorado, Fleetwood, Seville, STS, XLR, XTS and SUV class SRX and Escalade. Our access to thousands of used car parts for Cadillac ensures you are able to shop the best prices and quality for your luxury car or SUV, while keeping your costs low and expectations high. Buying Used Car Part puts that extra money back in your wallet! When you buy recycled auto parts the savings you can expect are quite remarkable. We know your Cadillac deserves only the best, but buying new parts can leave you feeling stressed about repair costs. The benefits of buying auto salvage yard parts may be just the right direction to take when you want discount options. Used auto parts can help you make repairs to your luxury Cadillac without breaking the bank. AutoPartSearch.com understands you don’t want to make sacrifices when it comes to your Cadillac and offers only the finest used auto parts to get your luxury auto gliding down the road in the style and comfort you are used to. Meantime, you will be spending less to do so. 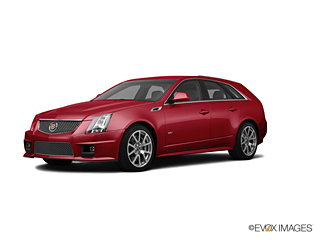 We offer AfterMarket auto parts for many makes and models and Cadillac is no exception. You can add lots of different custom looks and performance options using AfterMarket auto parts. Our mission is to provide you with options that can improve your car or SUV to the maximum. AfterMarket parts are the right decision when you want to make a change that just doesn’t come standard on your Cadillac. We are here for you in every way to ensure your choices are the best fit and match for your auto or SUV. OEM: When no other part will do! AutoPartSearch.com carries OEM(Original Manufacturer Parts)for Cadillacs to appeal to the customer that wants to invest in the original specification in parts for their auto or SUV. OEM parts are a direct match and fit and can include manufacture updates. OEM auto parts are great for the car enthusiast restoring a vehicle back to showroom condition or for those that feel OEM parts are the right choice for their needs.